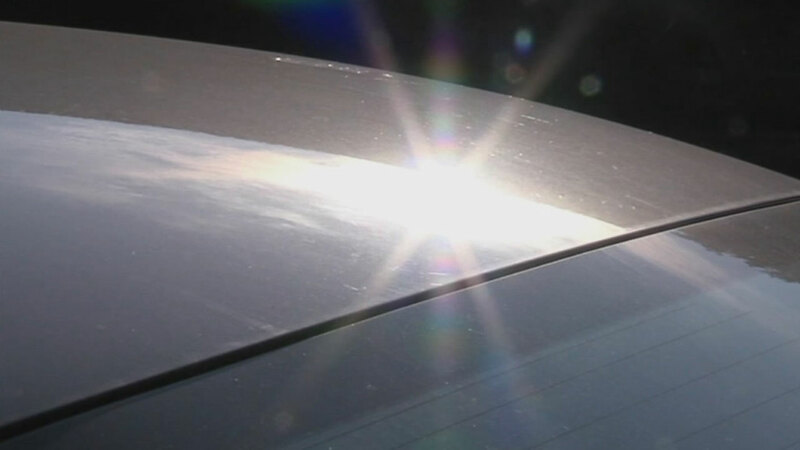 The hot midday sun reflects off a car in this undated file image. VICTORVILLE, Calif. -- A mother was arrested in Victorville on Wednesday for leaving four kids, ages 3 and under, in a locked hot car for at least half an hour on a day when temperatures climbed to the triple digits, officials said. Deputies were called to the 15400 block of Vallejo Street around 12:25 p.m. on a report of children left in a hot car unsupervised. They found the children, a 3-year-old girl, two 2-year-old girls and a 1-year-old boy, locked inside a vehicle, with the engine off and the windows rolled up. The children were in the back seat and deputies saw no car seats. Temperatures in Victorville reached a high of 102 degrees on Wednesday, according to AccuWeather. Deputies said when the mother spotted the deputies, she tried to leave in the car, with the children unsecured in the back seat. Deputies arrested the mother and booked her for child cruelty. She is expected to appear in Victorville Superior Court on Friday. Deputies identified the mother as Danessha Janee Williams, 28, a Los Angeles resident. Fire department personnel examined the children at the scene and they were released into the custody of a family member.